Become a confident, successful leader that people want to follow! Join Success Coach, Rachel O'Brien-Eddy, to discover 8 ways to become a leader. Have you faced challenges or setbacks in your life or business? Find out how to leverage those difficulties to inspire others. 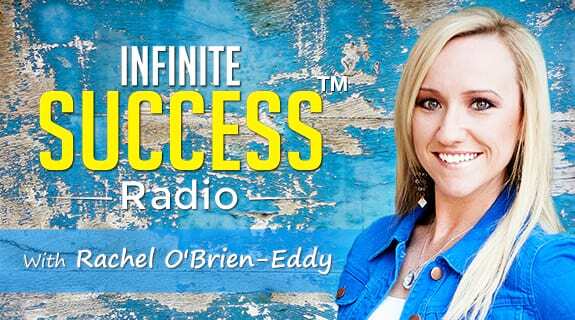 Plus, Rachel reveals the strategy she uses to set and achieve goals, this week on Infinite Success Radio. Have questions or ideas for the show? We’d love to hear from you! Email us at Radio@ConnectWithRachel.com.